Jihad Watch : It has been noted many times here that Turkey did not oppose the Islamic State in any effective way, and indeed, actively aided it in many ways. It seemed clear that Erdogan was hoping to co-opt the Islamic State, use it against the Kurds and Assad, and incorporate its domains into his own revived caliphate. It has also been noted many times here that the Islamic State was, before President Trump took office, on its way to being normalized, transitioning from being a terror group to being a respected member of the family of nations — the same track that the PLO is on. “The ISIS Ambassador to Turkey,” by Anne Speckhard and Ardian Shajkovci, Homeland Security, March 18, 2019 : In the complicated relationship between the government of Turkey and ISIS, it’s unclear how much of the relationship was direct and formal, as opposed to support coming from private individuals and entities in Turkey, or in response to the vast amounts of money ISIS had to spend on a network it deployed inside Turkey to receive and funnel foreign fighters, weapons, and medical supplies into its huge state apparatus. In any case, it’s clear that every state needs diplomats to negotiate political deals with the countries near its borders. 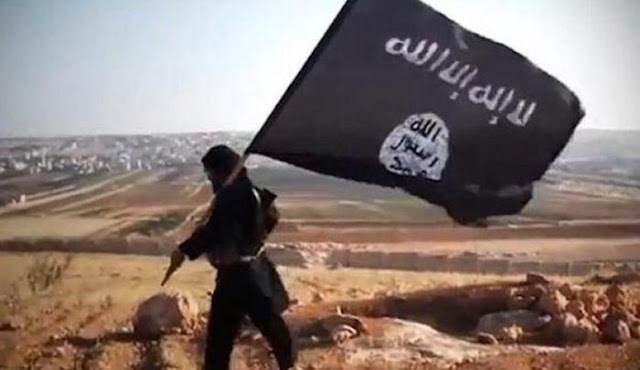 ISIS, it seems, was no exception to this rule, as ICSVE researchers learned in a February 2019 five-hour interview with an ISIS emir, Abu Mansour al Maghrebi, who claims he essentially served as the ISIS ambassador to Turkey. BAGHDAD, Iraq – “My job in Raqqa was dealing with the international cases,” Abu Mansour al Maghrebi recalls of his three years serving ISIS. “My issue [duties] was our [Islamic State’s] relationship with Turkish intelligence. Actually, this started when I was working at the borders,” he explains, harking back to the first job he undertook for ISIS before becoming an ISIS emir and, seemingly, their ambassador to Turkey. Abu Mansour, an electrical engineer from Morocco, came to Syria in 2013. Like many foreign fighters we interviewed, he stated he came hoping to unshackle Muslims from dictatorial regimes and build an Islamic Caliphate ruled by Islamic ideals. He traveled from Casablanca, Morocco, to Istanbul, Turkey, and through the southern border of Turkey into Syria. His first stop was Idlib, Syria, just as hostilities between al Nusra and ISIS had begun. Abu Mansour ended up on the ISIS side of that rift and was assigned by ISIS the job of an intake official on the Syrian side of the Turkish border. His job was to receive the steady flow of foreign fighters streaming into ISIS via Turkey – many who shared his same dream. “My job was to direct operatives to receive the foreign fighters in Turkey,” Abu Mansour explains, referring to the network of ISIS-paid people who facilitated foreign fighter travel from Istanbul to the Turkish border towns of Gaziantep, Antakya, Sanliurfa, etc. “Most of them were paid by Dawlah [ISIS],” Abu Mansour explains, but differentiates them from ISIS members, due to their non-ideological motivations.